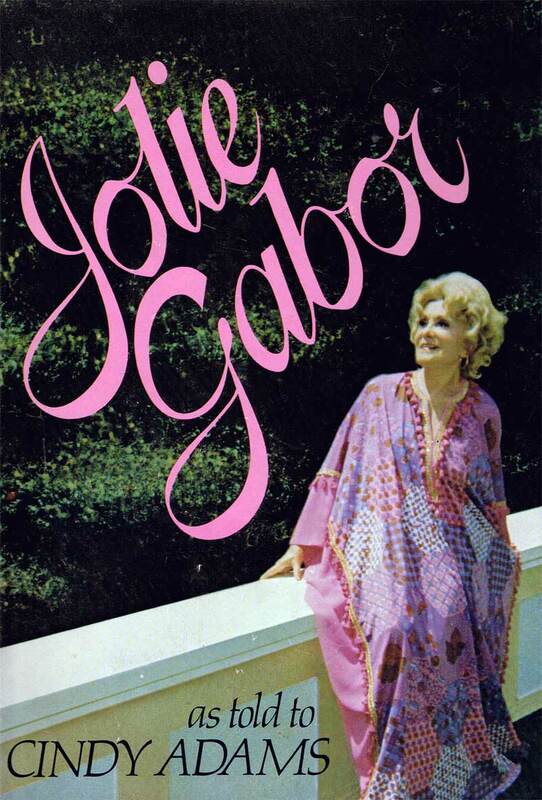 Jolie Gabor, the colorful mother of the even more colorful Gabor sisters — Eva, Magda and Zsa-Zsa, considered her home in Ridgefield a quiet retreat compared to her places on Long Island and in California. "I only get a chance to play bridge in Ridgefield because the social life is so busy in Southampton and Palm Springs," Ms. Gabor once said. She was born Janka Tilleman in Budapest in 1900 — her wealthy parents, wanting a boy, called her Jansci or “Johnny.” She became a socialite, musician and actress and, in 1936, age 35 and married, was selected Miss Hungary. She operated several jewelry stores in Budapest in the late 1930s, but fled the country when the Germans invaded. With the help of professional writers, she produced two books, Jolie Gabor, a memoir, and Jolie Gabor’s Family Cookbook, a collection of Eastern European recipes. In 1966, Jolie and her then husband, Count Odon de Szigethy, bought a modest home on Oscaleta Road and immediately set about glamorizing the place. “I like to make from a nothing something,” she told The Ridgefield Press. The de Szigethys sold the place in 1970 and Ms. Gabor died in 1997 in California at the age of 96.